From dense urban centres to small communities, every local government faces the challenge of ensuring the safety of its citizens – day or night and in all weathers, and with reduced cost and improved efficiency. 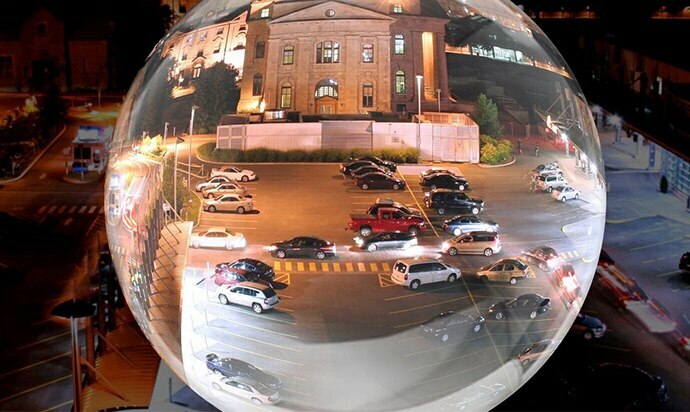 4K offers heightened situational awareness, covering shopping malls or car parks in greater detail. The camera’s superior resolution makes it easier to identify individuals positively. 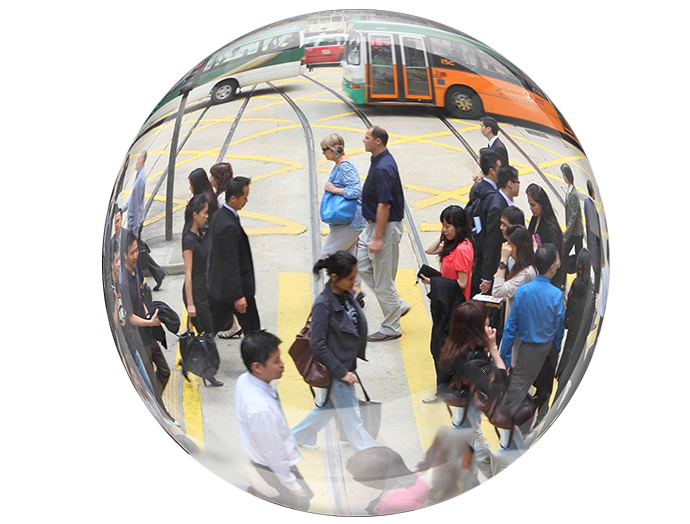 Specific areas of interest can be monitored with greater precision, allowing operators to home in rapidly on incidents in busy streets, road crossings, public spaces and community facilities. Highway agencies, police and emergency services face an increasing burden of responsibility to protect the safety and comfort of all road users, including pedestrians as well as private and commercial vehicles. Unpredictable, fast-changing traffic and environmental conditions can turn the quietest section of carriageway into a lethal environment in moments, from darkness and icy conditions to sudden blowouts, accidental spillages and wandering pedestrians. With 4K by Sony, video monitoring and surveillance is clearer and smoother than ever before. 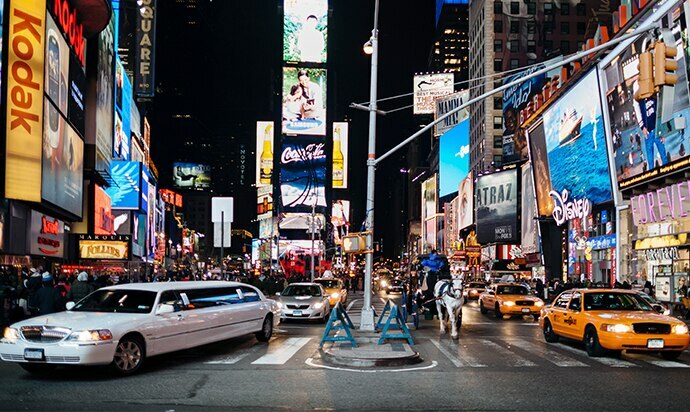 Increased resolution at full frame rates allows enforcement agencies to assess vehicle flows and sudden incidents with greater accuracy, helping to assist effectively with proactive traffic management. 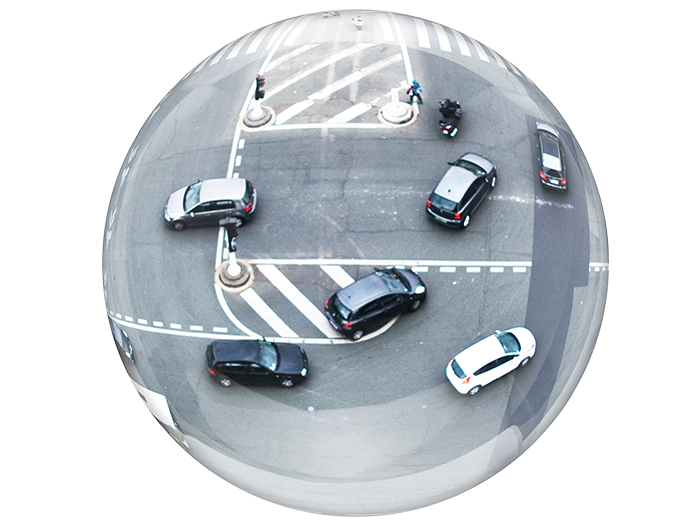 4K imaging allows speeding, traffic violations and other illegal activity to be detected from greater distances, reducing the number of cameras needed to patrol carriageways and road junctions. Modern railway network infrastructures are busier than ever, relied on by millions of passengers daily to reach their destination safely, punctually and in comfort. 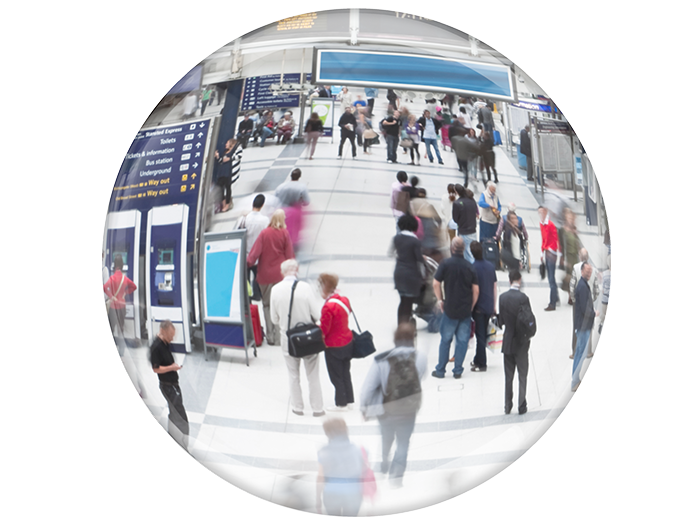 4K video surveillance by Sony plays a key role in safeguarding customers and maximising trust on trains, platforms, subways and busy railway concourses where there’s a wide spectrum of risks. 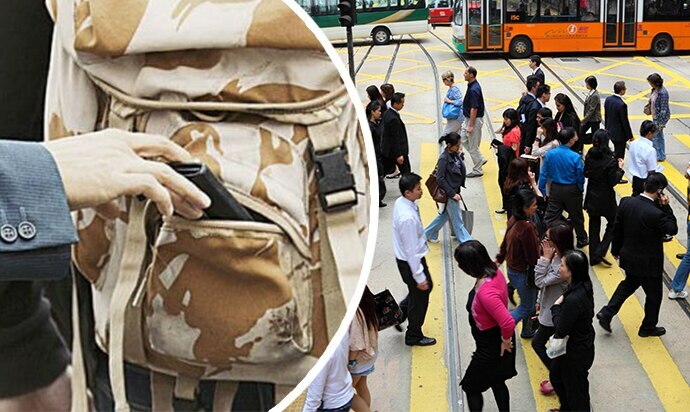 Transport users must contend with the danger of assault, theft and pickpocketing, vandalism and terrorism, as well as passenger incidents such as falls and accidental injuries. At stations, level crossings and by the trackside itself, 4K video can help railway operators respond promptly to hazardous situations, helping maintain the safety and integrity of their operations around the clock and in extreme conditions of heat, rain, dust and vibration. The resolution and powerful close-up possibilities of 4K monitoring can also help with the proactive identification of anomalies in railway tracks, bridges and tunnels, even when monitoring conditions are challenging. The security of passengers, staff and property is of paramount importance at every airport, large or small. 4K video surveillance can help airport operators observe, interpret and respond instantly to a wide spectrum of 24/7 threats – from unattended luggage to unauthorised intruders and terrorist activity. It also allows airports to mobilise appropriate action in response to passenger emergencies, accidents or service disruption. The extra detail of 4K allows operators to ‘see’ several times further away than conventional analogue CCTV cameras. 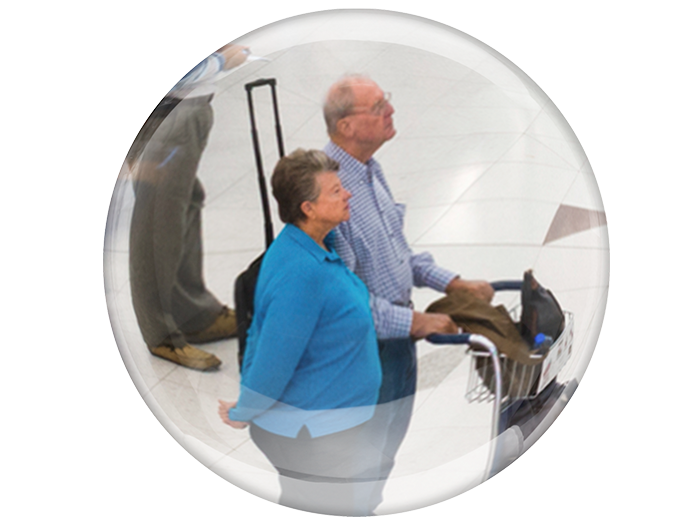 Multiple objects or individuals can also be tracked positively using a single camera, covering the wide expanse of a passenger concourse, apron or runway. 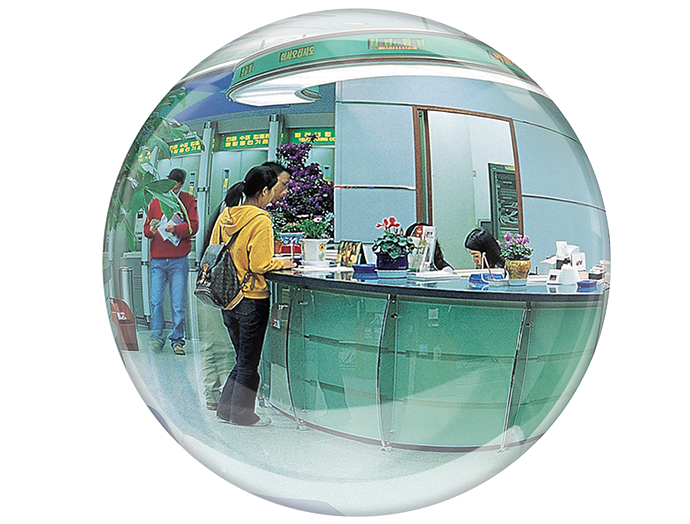 Banks and other financial institutions depend on a reliable, high quality video security to manage a wide spectrum of risks while supporting day-to-day operational requirements. As well as maintaining the safety and providing reassurance for staff and customers, video surveillance helps prevent fraud and supports compliance with industry regulations. Sony 4K cameras give a clearer view of banks’ counter areas and lobbies, ATMs, entrances and back office areas. The extra detail of 4K allows accurate monitoring of interactions between counter staff and the public, helping to enhance training and customer service. A single 4K camera with dynamic subject tracking can effectively cover a wider area than multiple HD cameras, providing improved situational awareness while reducing hardware and installation costs. Simple installation and maintenance plus powerful analytics help deliver even greater returns on banks’ security budgets. Ultra high sensitivity 4K network camera with 35 mm full-frame Exmor™ CMOS sensor. Thanks to ultra-high sensitivity of expandable ISO 409600, the SNC-VB770 4K network camera features top levels of minimum illumination of less than 0.004 lx – to capture exceptionally detailed 4K/30 fps colour video, even at night and in similar extreme lighting environments. Scalable from 16 to 40 channels, this simple, easy-to-use network video recorder supports monitoring systems with up to 288 cameras, which is ideal for common applications such as retails and banks. 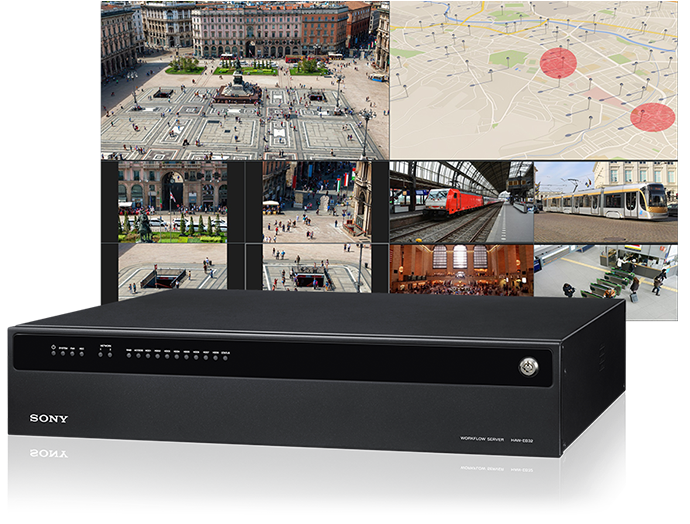 Scalable from 16 to 100 channels, this versatile, featured-packed network video recorder is used for monitoring systems with up to 4096 cameras, which is ideal for large-scale monitoring and recording applications such as school districts, cities, and transportation. 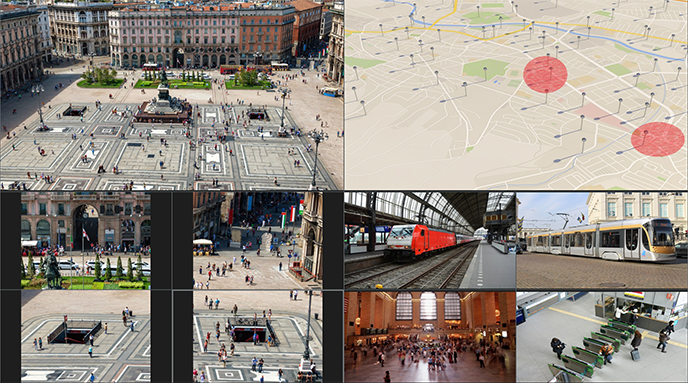 This versatile, highly scalable video management software supports monitoring systems with up to 4096 cameras, which is ideal for large-scale monitoring and recording applications such as school districts, cities, and transportation. The new video management system comprises server-based video management software (VMS) and network video recorders (NVRs). It offers monitoring professionals a flexible, fully customisable solution for managing, storing and analysing video footage from your fleet of network cameras, including 4K. Note: The SOW-S and SOW-E series network video management software and HAW-S and HAW-E series network video recorders are not compatible with each other, and cannot be used in the same system. Highly-scalable, feature-rich, network video management software for monitoring systems with up to 4096 cameras. Ready-to-run, featured-packed, network video recorder for monitoring systems with up to 4096 cameras. 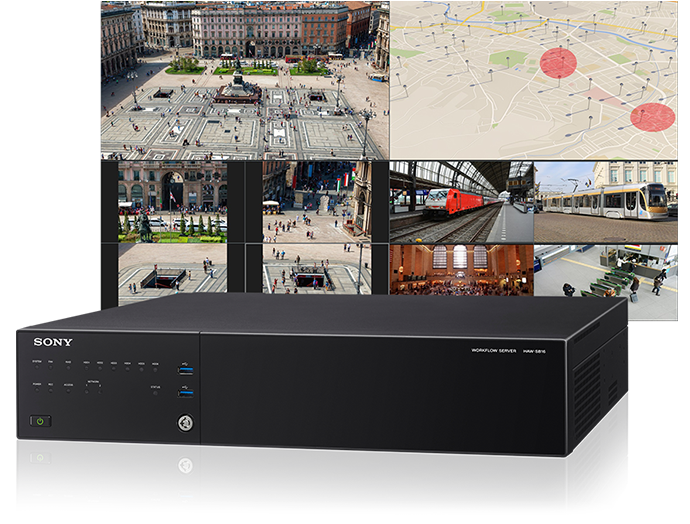 4K Video Security from Sony delivers major benefits in operational efficiency for cities, transport networks and commercial facilities. High-quality Sony optics are blended with a large Exmor R CMOS sensor and powerful processor. The result: unprecedented sensitivity for better 4K images in low light. See things the way you want to. 4K wide-area monitoring is enhanced by close-up views of up to four separate regions of interest, plus high resolution still image capture.